A-HOTEL.com - Luxury and cheap accommodation in Quảng Ninh, Vietnam. Prices and hotel, apartment booking in Quảng Ninh and surrounding. This indicative offer was derived from the most recently booked accommodation in Quảng Ninh and sort by the price, from cheapest Quảng Ninh accommodation to the most expensive hotels. To select accommodation by your preferences we recommend to choose from 1 accommodation offers in Quảng Ninh in total. By entering the dates of your overnight stay in Quảng Ninh and using the filter tools you can sort the best possible accommodation for you. The entered dates of your stay are crucial for the most accurate offer as it derives all the online information on pricing and availability of Quảng Ninh accommodation. Then you can book the selected Quảng Ninh lodging (hotels, apartments etc.) immediately. Situated in Quảng Ninh, Gia Bao Guesthouse has free bikes and a shared lounge. Boasting a 24-hour front desk, this property also provides guests with a restaurant. 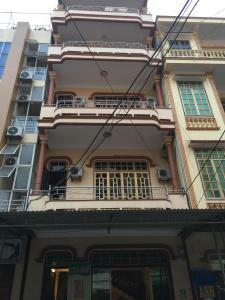 Thanh Hoa Hostel features free WiFi and rooms with air conditioning in Thượng Thộn. The accommodation offers a 24-hour front desk, room service and luggage storage for guests. Set in Dong Hoi, in a building dating from 2018, Barefoot Homestay offers free bikes and guestrooms with free WiFi. The property has a garden, as well as a terrace. 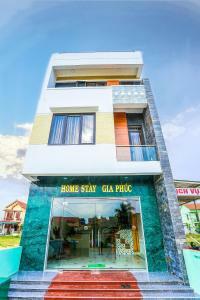 Gia Phuc Hotel - Homestay features a terrace and a shared lounge in Dong Hoi. 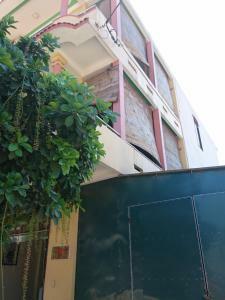 The 3-star hotel has air-conditioned rooms with a private bathroom and free WiFi. Featuring a garden, Victor Motel is located in Dong Hoi. Both private parking and free WiFi are accessible at the guest house. 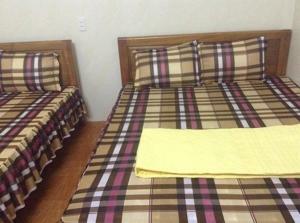 Homestay gia phúc features accommodation with a terrace and free WiFi, and is situated in Dương Cảnh. 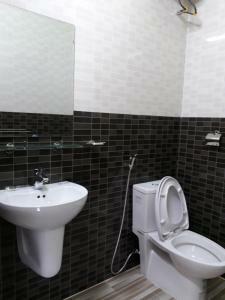 All of the units feature a shared bathroom, living room, flat-screen TV and fully-equipped kitchenette. Located in Dương Cảnh, homestay gia phúc provides accommodation with a flat-screen TV and a kitchenette. Complimentary WiFi is featured. Boasting a terrace, Sky Hotel is located in Dong Hoi. The accommodation features a 24-hour front desk, a shuttle service, a shared kitchen and free WiFi. Situated in Dương Cảnh, RIVERBANK MOTEL offers accommodation with free WiFi and flat-screen TV, as well as a terrace. A fridge and kettle are also featured. Boasting free bikes, Villa Sim features accommodation in Dong Hoi with free WiFi and mountain views. This villa offers a garden, a terrace, as well as a shared lounge. With a garden and a terrace, Coi Xay Gio Homestay is set in Dong Hoi and offers free WiFi. Some units feature a balcony and/or a patio with garden views. Set on the beachfront in Diêm Ðiền, Hoàng Hoa has a garden. All rooms boast a flat-screen TV with satellite channels and a private bathroom. 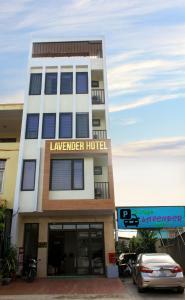 Lavender Hotel is situated in Dong Hoi and has free bikes and a garden. The property features a terrace, as well as a shared lounge. Offering free WiFi, Anh Kiệt Hostel is set in Diêm Ðiền. All rooms feature a flat-screen TV with satellite channels and a private bathroom. Situated in Dong Hoi, Gold Coast Hotel Resort & Spa offers air-conditioned rooms with free WiFi. This 5-star resort offers a 24-hour front desk. Situated in Dong Hoi, in a building dating from 2015, Truong An Guest House features a terrace and guestrooms with free WiFi. 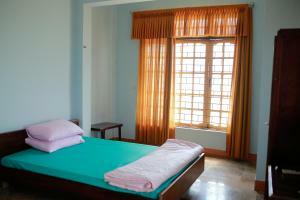 All rooms are fitted with a TV with cable channels. Set in Dong Hoi, Van House Homestay offers accommodation with air conditioning and access to a garden with a children's playground. Free WiFi is featured. Tan Truong Son Hotel in Dong Hoi provides accommodation with a terrace and a shared lounge. Free WiFi is featured. Thuan Loi Hostel provides rooms in Dong Hoi. All rooms feature a flat-screen TV with cable channels and a private bathroom. Hoa Phuong Hotel provides rooms in Dong Hoi. All rooms boast a flat-screen TV with satellite channels and a private bathroom.